Last week we were overjoyed with the news that a new baby boy was brought into the world and into our family. Sadly, we were not able to celebrate his life as Ashley his mom, was taken to Henry ford Hospital in critical care to recieve care for her as her delivery(c-section) did not go as planned. Ashley is not only a fighter who held onto her life as long as she could but she is the most loving person. Not a day went by was she putting her family before her. Her soft voice, her caring heart, her beautiful personality will be misssed tremendously. Our hearts will be forever broken. 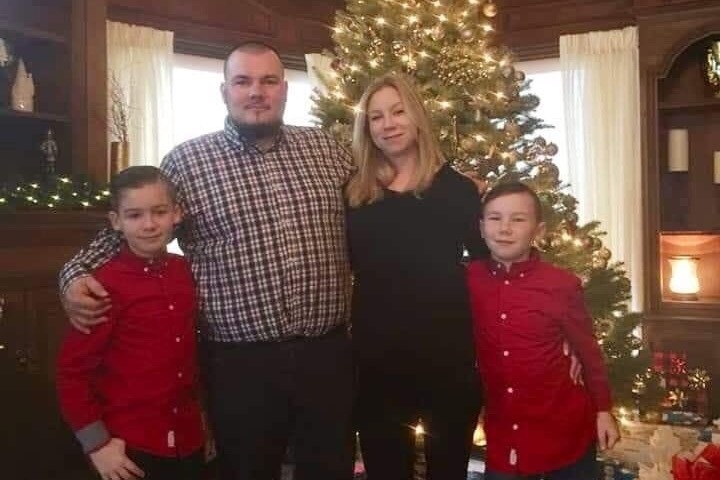 Ashley leaves behind a beautiful family, her husband brandon and three boys. She will never have the opportunity to hold her newborn baby or watch her boys grow older. But she will always be in our hearts and her soul will always be walk with us through life. This was supposed to be a happy time in our lives. We are grateful for the time we got to spend with Ashley, sadly her baby will never be held by his mom or hear her voice again. Any amount received will go towards funeral expenses and towards the boys trust funds.Please donate to help this loving family during this hard time in their life. We are not asking for a lot but anything will be greatly appreciated. Hello Everyone. First off I would like to say thank you to everyone that has supported us through this horrific time. The amount of support we have received has been tremedous. My aunt and cousin put the effort into this campaign and my children and I will forever be grateful. Ashley will be missed by many but I know she is looking down and thanking each and everyone of you as well. Thank you from the bottom of my heart.